Please enter the dollar amount of the card you wish to purchase. Can't decide what to get your favorite boater? 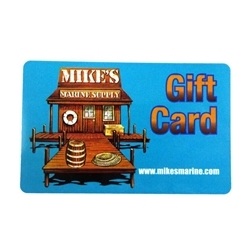 A gift card may be the perfect answer so that he or she can buy exactly what they want. Available in any denomination, they never expire!